Ford's commuter shuttle bus network could soon be coming to the capital. 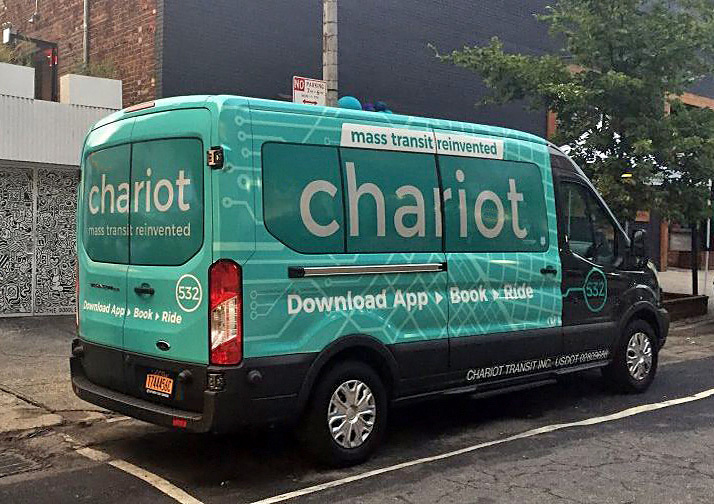 The firm's Chariot service uses a fleet of Ford 15-seater transit vans to ferry passengers along popular routes in the likes of San Francisco and Austin, Texas, as well as New York. It looks to supplement public transit bus routes and local trains with commuter routes that are not as well served by the existing options. And according to a job advertisement online, Chariot is on the hunt for a general manager in "our first international location, London" to "help us revolutionise transit". We continue to explore additional markets as part of our expansion plans, with London being one of them. We have applied for the relevant licences to operate a commuter microtransit service in London that would complement the existing public transport system. We are now awaiting a response from TfL regarding our applications for London Service Permits. Passengers can check the app to find commuter routes near them, reserve a seat, and also use the app to pay with their smartphones. Former Ford boss Mark Fields had said in January that the service would be expanded to eight new cities this year, including one outside the US. And Chariot could make for an interesting new challenger in the capital amid the likes of ride-hailing apps like Uber, and existing taxi and minicab firms. New entrants though, have expressed frustration at delays to obtaining permission to operate in the capital. Ride-hailing challenger Via said in September it had been waiting months for a licence from TfL. The transport body has said "rigorous regulations" must be met, and its regulation of London's taxi and private hire trades is designed to ensure passenger safety. Uber meanwhile, is in the midst of a battle to hold onto its licence in London, after TfL decided not to renew it in September, saying Uber was "not fit and proper to hold a private hire operator licence". Talks have since been held in an effort to address the concerns, and last month, Uber launched its appeal against the loss of the London licence. The tech giant has said it hopes to continue having "constructive discussions with Transport for London", which could resolve the situation without the need to go to court. Uber's drivers in the capital can continue to operate there until the appeals process is exhausted though, which could take months, or even years.